I know you know I'm dabbling in my other love interests over at Life. Design. and the Pursuit of Craftiness these days... but I didn't want you to miss out on a fun idea for creating a simple, but romantic themed dinner at home! 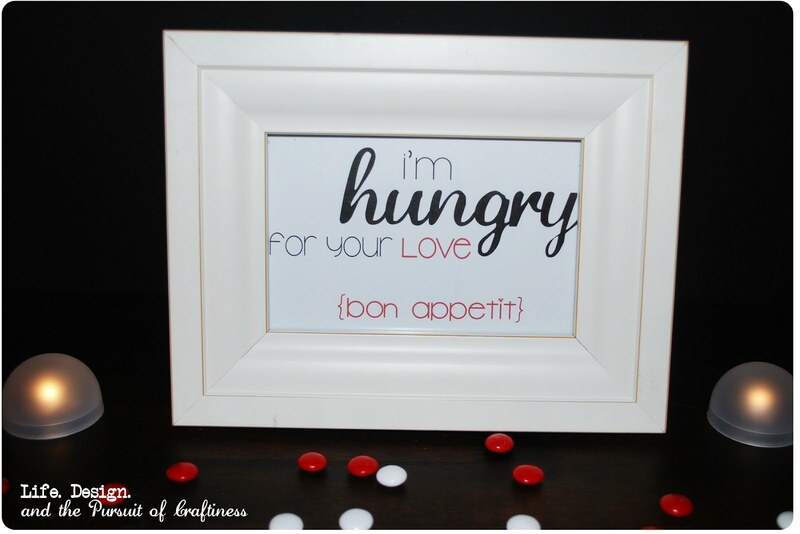 Come check it out and grab my free printables HERE! is probably one extra help from God to bring you together, but that's it. All the rest of it, the true love, is the test. See the link below for more info.